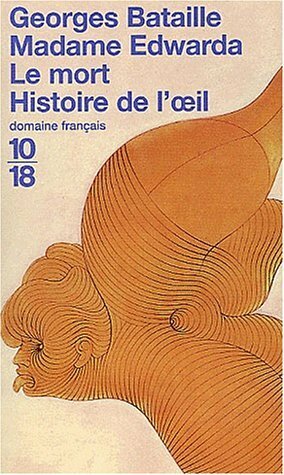 #1) 10/18 is a publisher in France (with a sub collection named domaine français). Their series of Georges Bataille novels are illustrated by Hans Bellmer. One of the nicer book illustrations around. I like the overall feel of the design. Can someone tell me more about the graphic designer over at the 10/18 publishing imprint? Here is the 10/18 cover of Madame Edwarda. This entry was posted in art, Carnography, female sexuality, French culture, Georges Bataille, grotesque, irrationalism, postmodernism, theory, transgression, underground, violence, voyeurism on October 9, 2007 by jahsonic.